He starred in Lazy Town and many other roles. Stefan Karl Stefansson has died aged 43. He was widely known for his role "Robbie Rotten" in Lazy Town. His cause of death is known to be due to cancer. Stefan was initially diagnosed with pancreatic cancer in 2016, but it was removed through surgery. However, in March, his cancer returned and it was inoperable. He posted to a tweet on Twitter saying, "It's not until they tell you you're going to die soon that you realise how short life is". Telling his fans to "Dream big". His wife said the family would follow his wishes and scatter his remains at sea. He was widely known for playing the role Robbie Rotten in the Kids' TV Show; Lazy Town. He featured in the show between 2004-2007 and in newer episodes in 2013-2014. He also starred in How The Grinch Stole Christmas in the US between 2008 and 2015. Fans have expressed their sadness over the death of Stefan on Twitter. One user, named @smg4official said: "I spent many hours with my younger siblings watching you years ago and I've lost count of how many times you made us laugh and smile uncontrollably. Thank you for all the joy you brought us and people everywhere. 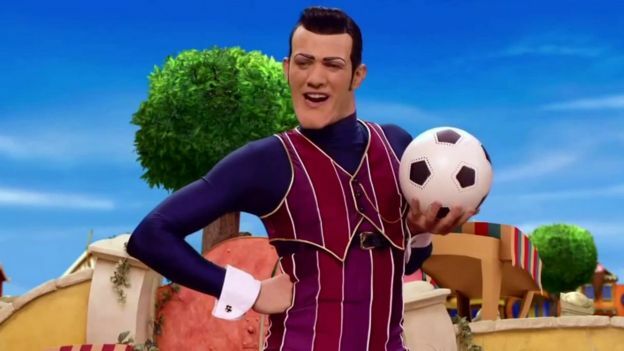 Rest in Peace Robbie Rotten." Another user, @EpicVoiceGuy said: "Farewell, Robbie Rotten. Hope you finally get to be lazy without those pesky kids exercising around you 24/7. You were a fantastic, funny character. RIP Stefan Karl Stefansson." Our condolences are with his friends and family at this very sad time.